Hiring Update | Hampton Industrial Services, Inc.
Hampton Industrial Services, Inc. is hiring! We are always accepting applications and resumes! Wages are very competitive and based on experience. 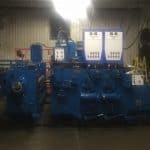 We specialize in rebuilding and relocating corrugated box machinery. Currently seeking 2 full-time positions to work at our Granger, IN facility. Seeking a person for a maintenance position and a painter for large equipment. We are also seeking 2 people for traveling positions for maintenance. These positions are for disassembly and relocation of corrugated box machinery. Email your resume to hisinc2@comcast.net or call our office at 800-535-7181. Join our mailing list to hear the latest about Hampton Industrial Services!